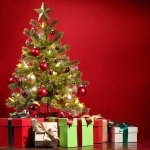 In many countries, the second day of Christmas (December 26) is an official non-working holiday. Western Christians celebrate it as Saint Stephen’s Day, while many non-religious people in the United Kingdom and former British colonies refer to it as Boxing Day. Saint Stephen is traditionally venerated as the first martyr (protomartyr) of Christianity. He was a deacon in the early church at Jerusalem, whose teachings earned him a lot of enemies in various synagogues. Eventually, he was accused of blasphemy, found guilty by the Jewish authorities, and stoned to death. Saint Stephen is the patron saint of deacons, altar servers, coffin makers, and bricklayers, as well as horses. Western Churches celebrate his feast day on December 26. In many countries, Saint Stephen’s Day is an official public holiday because of its closeness to Christmas Day. Some of them even have specific traditions associated with this holiday. In the Republic of Ireland, for example, it is known as Wren Day because of several Irish legends that link several episodes in the life of Jesus Christ to the wren. On Wren Day, people known as wrenboys or mummers dress up in old clothes and travel from door to door, carrying fake wrens, singing, dancing, and playing music. In Catalonia, Saint Stephen’s Day (Sant Esteve) is a traditional holiday celebrated with a big meal. The meal typically includes cannelloni, a cylindrical type of pasta filled with with the ground remaining meat from the Christmas meal (usually turkey or capon). In Austria and Bavaria, the feast’s customs include blessing of horses and ceremonial horseback rides, and in Finland, people participate in merry sleigh rides with horses. In the United Kingdom and some of the former commonwealth realms, the second day of Christmas is known as Boxing Day. The origin of the term is unclear. According to one of the most popular theories, wealthy families used to allow their servants to visit their families on the day after Christmas and would give each servant a box containing gifts and some money. Today, Boxing Day is the day when people open their Christmas gifts. In the UK, Canada, Australia, New Zealand, and Trinidad and Tobago, Boxing Day is strongly associated with shopping, much like Black Friday in the United States. On this day, many retailers hold sales, offering significant price reductions. Some shops open as early as 5 a.m., but many shoppers arrive even earlier, forming long lines. Another Boxing Day tradition is related to sports. In the UK, it is traditional for soccer and rugby leagues to hold matches on Boxing Day. In South Africa, Australia, and New Zealand, test cricket matches are played on the day after Christmas. A notable tradition in Sweden is the Saint Stephen’s Day bandy that involves elite bandy matches. Since 2000, other sports have followed suit. Other notable sports events held on Boxing Day include the King George VI Chase in the UK, the Spengler Cup in Switzerland, and the Sydney to Hobart Yacht Race in Australia. In some countries, the second day of Christmas is referred to neither as Saint Stephen’s Day nor as Boxing Day. Its other names include Family Day in Vanuatu and Namibia, Day of Goodwill in South Africa, and National Day of Thanksgiving in the Solomon Islands.